Here you will find the list with your recorded files. 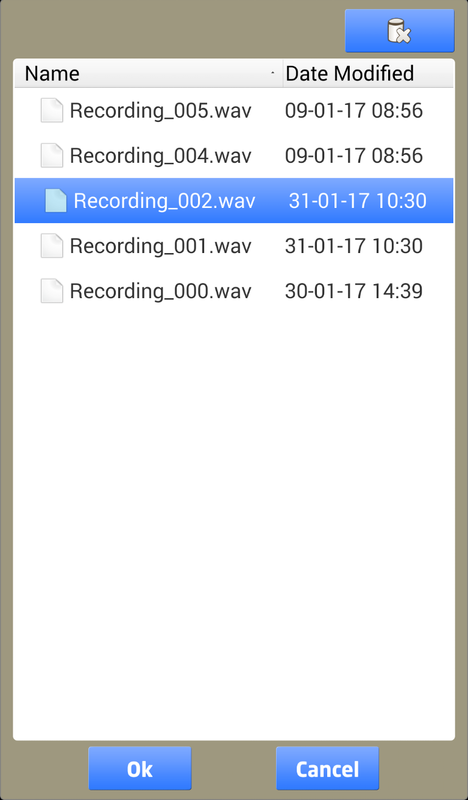 To choose one of the files for playback just tap it. If you then go back to the main screen this name appears as the file that will be inserted into your live item. If you then push the PLAY button this file will be played and the MIC will be automatically muted.